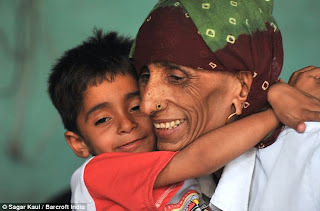 Rajo Devi Lohan gave birth, following controversial IVF treatment, at the age of 69. Five years later, the 74-year-old says having her daughter, Naveen has made her stronger and helped her live longer. She believes her desire of seeing her little one marry is giving her the strength to fight on and live to see the special day. The only reason I am still alive is Naveen. She is a gift to me from God and until I get her married, I cannot afford to die. Originally posted in July 18, 2013.